Every time I see a member of the opposition party standing up and supporting policies that are ill thought out and ill prepared to serve the nation, I am reminded of the delusional attitude of the despicable Nazi Propaganda minister Joseph Goebbels. His address to the German nation in December of 1943 on the eve of 1944 beginning is a classic example of telling “The Big Lie” in a way that was both effective and efficient. Little did the mass of the German people realize just what hell was about to be released on their homeland in the name of supporting a false god. As I read through this missive, I was reminded of some of the prominent people on the left in the past several years who could easily fit into this mold. Joseph Goebbels, “Sylvesteransprache Dr. Goebbels am 31 Dezember 1943,” Deutschland im Kampf , ed. A. J. Berndt and von Wedel, Nr. 101/104 (Berlin: Verlagsansalt Otto Stollberg, 1944), pp. 135-139. The year 1943 is nearing its end. It will never be forgotten by us who fought and worked and lived through it. It was the most difficult year of the war so far, one that subjected us to great moral and material tests. It gave us the task of holding that which we conquered in our glorious offensives of the earlier war years, which is the foundation of our final victory, and of defending it against the raging storm of our enemies with courage and without wavering. In large part we succeeded. We have had it is true to accept losses and setbacks, but they in no way are decisive for the outcome of the war, nor are their causes to be sought in any failure in our morale or material during this long war. The cowardly betrayal of the Italian king and a clique of generals cost the Axis camp the economic and military strength of an ally, and it could not be avoided that the general war situation was affected thereby. We had to pull back our lines in the East as well as in the South. The resulting withdrawals of our troops gave the enemy side a welcome opportunity to speak of the military collapse of the Reich, or even to make overhasty reports of approaching victory. They were fundamentally mistaken. Our war position has indeed become tighter than it was at the end of 1942, but it is more than sufficient to guarantee us a certain final victory. One need only compare the successes of the other side with what they had hoped for to realize that our prospects of full victory have not been affected by the events of this year. The English and Americans are not at the Brenner Pass, but rather far from Rome. The Bolshevist offensive army has not been able to reach the German Reich’s border as they wanted and planned to; our army in the East instead is offering bitter resistance far from our critical territory and interests. 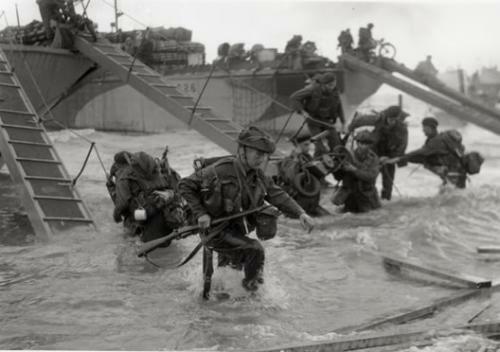 The amphibious operations Churchill promised have not occurred, and their constantly promised arrival will meet a battle-ready German Wehrmacht wherever they may come. In a word: the loss of an ally on our fighting front presented us with great and sometimes dangerous difficulties, but we have dealt with them. That in the end is the important thing. The outcome of a war is dependent not on wishes and intentions, but only on facts. The enemy did not succeed in the past year in affecting in a serious way our war effort in any critical area. If the great test of a war is that it brings challenges that can only be met by using all moral and material resources, the German people passed the test in the past year. It will doubtless go down in history as the most glorious of this great struggle for our existence. It is true that we looked back on more glorious victories in the first years of the war that we do this time. This year we had to prove ourselves. We had to prove to ourselves and to history that we could overcome great, even the greatest, difficulties, that we would not fail, but rather that our courage and our tough endurance are growing, and that we did. The year 1943 was thus a hard but proud year for us. It deserves a just evaluation. We have withstood it. The enemy broke his teeth on our military and moral resistance. What that means for the future of the war cannot yet be seen. That is true above all of the Eastern Front. Our soldiers there have survived a test of their steadfastness in the past year that puts everything that came before in the shadows. The OKW Report summarizes in two or three lines a heroism that cannot be put in words. It is frightening to realize that we Germans on our own, with but a few small but brave allies, are waging hot and bitter battles to protect a part of the world that in large part has not deserved it. Each fighting German soldier is therefore closer to our hearts than a thousand overly clever newspaper writers of a certain press that at best have good advice, but scarcely find a word of recognition and thanks for the heroic and sacrificial struggle that our Wehrmacht is also fighting for the preservation of the life of their peoples. The danger of Bolshevism, which threatens all of Europe, could be successfully resisted in the past year. Our troops have surpassed themselves. If the Soviets believed they could drive to our borders, the most recent battles in the wide spaces of the East have probably taught them how vain these hopes were. It will forever be the greatest shame of the century that England and the United States joined with Bolshevism in their hate-filled battle for military success against our venerable continent. They will also not gain victory; to the contrary, at most they will ruin the economic foundations of their own nations. Only shame will remain. Perhaps it must be that way to speed along the inner decay of this rotten plutocratic government system. One can speak here only of perverse political and military cooperation. Despite that, it is an enormous danger for us and for Europe, and we must gather all forces to meet it. There is no point in hoping for the aid of other threatened peoples and states. They indeed see the danger, but no power in the world can make them do anything about it. They resemble the rabbit that looks hypnotized at the snake until it is devoured. We are mostly dependent on ourselves to successfully carry out this battle for our existence and the existence of our continent. And we can do it. The economic and military strength of the Reich has grown greatly since the beginning of the war when we faced a far greater danger, which the enemy himself must grant. Europe is largely in our hands. The enemy will leave no method untried in the coming year to rip important positions from the hands of our war leadership. If he is to do this, the state of things requires that he take dangerous risks in the West, which until now he has successfully avoided. He tried to replace them by an air offensive, which everyone knows, and which the enemy even openly admits, is directed more against our war morale than our war potential. I speak of an air offensive, which is a very polite and restrained circumlocution for a completely unsoldierly way of fighting that has no historical parallel in its coarseness and brutality. Through the centuries, it will remain the second great shame of the English and the Americans. During the First World War they tried starvation against women and children. Now they are using phosphorus to beat down a fine and decent nation that demands nothing more than a decent and free life. What worked for the enemy in the First World War will fail him in the Second World War. There is no point in even speaking about it. Our people survived so brilliantly the test of enemy air terror during the year 1943 that the enemy can bury the hopes he had for it. The nights of bombing have indeed made us poorer, but also harder. The misery of air terror is to some degree the mortar that holds us together as a nation in the midst of all dangers. Our people have not fallen apart during the nightly fire storms as our enemies hoped and wished, but rather has become a firm and unshakable community. That is the most valuable lesson of the year 1943. Under the pressure of events, we have to a certain extent become accustomed to the horrors of modern war. The English people will have to get used to them again, too. The air war is pleasant for the enemy only so long as it is one-sided. When it becomes two-sided again, the outbursts of joy on the part of the London press will soon fall silent. British and American pilots however will soon face defensive measures in the entire Reich during their brutal attacks on German cities and their civilian population that will spoil their fun. There is no weapon in this war that does not in time bring forth a counter-weapon. That will be true here too. The enemy’s air war has only limited effects on our war effort. That is also not his goal. Our production campaign is not affected in any serious way, so the further successful continuation of the war is for us absolutely assured. We assume that the English and the Americans will try an invasion in the West during the coming spring. They will have to because Stalin, their supreme lord and ruler, wants them to. Then it will become clear who is right, the enemy side or us. In any event, the English and American public can see what their soldiers have to expect from the battles in Italy, and should not forget that the German Wehrmacht defending Rome is still fighting far from the edge of our zone of interest, while our life is at stake in the West. It is very probable that the war will thereby enter its decisive stage. Our prospects for victory are more than favorable. It is in general a thankless task to play the prophet in such a critical time. However, the German leadership has never faced coming events with such sovereign calm as it does now. Of course the enemy side presents its chances as absolutely certain. The example of Italy proves, however, that it suffers from the fateful disease of overestimating its own strength and underestimating that of its opponent. It is easy to expect, therefore, that English and American soldiers will have an unpleasant surprise in the coming year. They will have to thank their governments, which will lead them blindly into bloody misfortune. A decisive element in victory is a consciousness of the justice of one’s cause. We certainly have enough of that. We know very well why we are defending Europe; neither the English nor even less the Americans know what they are fighting for. But they will have to shed the most blood. No one will die gladly for a government based on arrogance and class pride, in which the workers are the slaves of the money moguls, and whose leaders coin lovely social phrases but carefully avoid social actions. But a soldier will defend as his own life a state that is his own, that is a social state in the truest sense of the word, that provides the average man with the chance to rise, that defends in its policies and war leadership only the interests of the whole people and not a small layer of plutocrats, a nation whose best sons lead it to prosperity and happiness. If the English and the Americans come, they will meet such a state, and such soldiers of the National Socialist Germany they hate so much, as to teach them that the effects of their cowardly and stupid propaganda are different now than they were in 1918. I need not waste words about what this war means to us. Our enemies have left no doubt of that. We are defending our existence. It is good for us to know that. It does not make us weak, but hard. A defeat would destroy us all. The English and Americans would take our commerce, our ships, mines, factories and machines, the Bolshevists our men and children. What remained would no longer be a nation, only a heap of millions of starving and ragged slaves, defenseless and stupidly vegetating and, as the enemy wishes, posing no danger for its torturers and suppressors. Over against that is the victory that we can and will achieve. It will open the door for us to the final freedom and independence of our people. Then we will be on the road to peace and free labor, the reconstruction of our homeland and a deep social happiness that rests in the community of us all. Truly that is a goal that is worth all the labor, sorrow and exertion of this war. Who would not want to accept them, no matter how difficult it might seem! They are the prerequisites for our coming freedom from all the chains, for the salvation of all of civilized humanity. If I am asked what the primary virtue that will lead us to victory is, I can give but one answer: loyalty to ourselves, loyalty to our vision of the world and to our political affirmation of faith. In November 1918, the Reich plunged into the deepest depths of national disgrace because it was failed by its leadership in the final hour and became disloyal to its cause. Just before the end, it lacked the last moment of endurance that in the end makes that possible which seems impossible. That endurance is the most important thing. 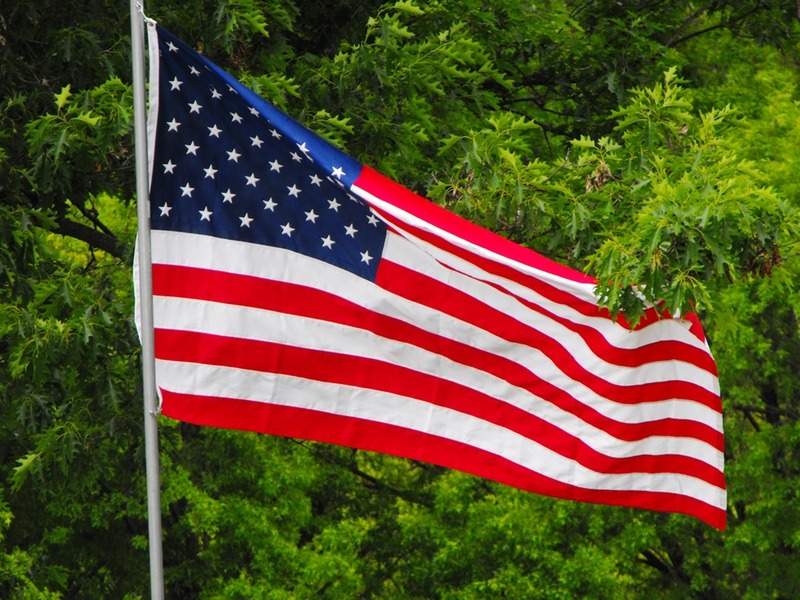 A nation must fight courageously and intelligently for its existence. But that is not enough. When events intensify and march with giant steps to their culmination, racing toward the crisis, the main thing is that the leadership and people keep their nerve, stubbornly and persistently overcoming dangers and difficulties, letting nothing distract them from the continuation of the course that they once saw as correct, keeping their eye only on the good star of their fate. Suddenly one day the clouds that hid the sun will clear and the sky will again be bright. So it will be in this war, too. That should I say at the end of this almost concluded stormy year to thank the whole nation for its devotion, hard work, loyalty and sacrifice, for its bravery, its contribution of wealth and blood? I do not know where to begin or where to stop. The front and the homeland have outdone themselves. The party as the political leader of the people has accomplished great things. In the countless sorrows and difficulties of everyday life during the war, particularly in the areas affected by the air war after the worst terror attacks, it is an example of how to deal with every difficulty. More than that, true to its traditions as a soldier’s party, it has sent millions to the German front. This is to its great honor, and it far surpasses what is demanded of the German people in general. Here, too, it has proven that it remains a party of fighters. I suppose Goebbels was as bad about predicting the New Year as anyone of us could be able to. Despite his brave talk, General Clark and the Fifth Army finally got to Rome. They captured the city on 4 June, only two days before Allied landing craft touched down in France. The Russian summer offensive, operation ‘Bagration’ begins on June 22nd against Army Group Centre in Byelorussia with assaults by the Soviet 1st Baltic, 3rd Belorussian 2nd and 1st Belorussian Fronts against Army Group Centre on a 450 mile front between Polotsk and Bobruysk. 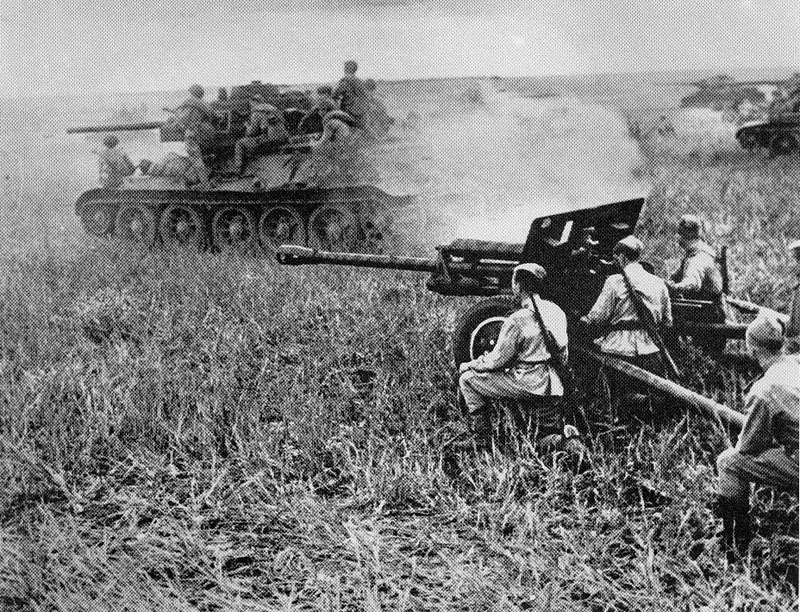 Soviet forces amount to 124 divisions, 1,200,000 men, 5,200 tanks, 30,000 guns and 6,000 aircraft. Against this, the German can field just 63 divisions, including 900 tanks and 10,000 guns. 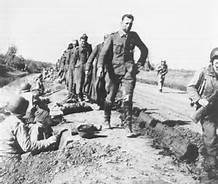 By June 24th Hitler orders all but one of the five German divisions of the 53rd Korps that are encircled at Vitebsk to fight their way out. Most never made it home. In the end, all lies become laid bare with the withering stare of truth. Free people will always fight for truth even when the people who would enslave them hold the biggest megaphone. I look forward to our coming year with both anticipation and fear. But I also believe that the founding fathers of this nation were smarter than a few hack politicians in Washington DC. Shortly after I posted this article, I went shopping at a nearby grocery store. After paying for my goods, I was on my way out when I saw an older gentleman with a WW2 Veteran cap on (including a Purple Heart ribbon). I always make it a point to stop and thank them when I see them. After shaking his hand I asked him where he served… he said Anzio. I told him about the blog and he said, “I walked all the way from Anzio to Rome. Them Germans were tough but we were tougher” Yes sir. God Bless you.